The Heartburn Treatment Center of South Texas is pleased to introduce Leah A Dill, D.O. as the program co-director. She is experienced in treating patients in the management of acid reflux and heartburn and is currently one of two surgeons in south Texas who is certified in the placement of the LINX Reflux Management System. Dr. Dill has performed over 3,000 minimally invasive surgical procedures and has vast experience in endoscopy, anti-reflux, and laparoscopic procedures. Prior to her arrival, Dr. Dill completed her residency at Oklahoma State University and has completed a mini-fellowship since her start at the Heartburn Center of South Texas. 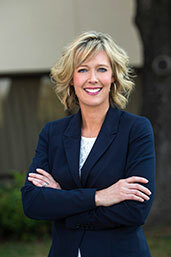 She earned her doctorate at the University of North Texas Health Science Center, and is board certified with the American Osteopathic Board of Surgery. She also has been the featured expert on the CW-33 “Best Doc’s Network,” received the “Patient’s Choice Award” in both 2010 and 2011, and was the featured physician in “MD News” in 2014.